NCIS has been on the air for a long time. Despite the veteran status of the CBS drama, the series still does pretty good numbers in the ratings. Which is why it’s not a huge surprise that NCIS earned a renewal order this morning. What is a little bit more surprising is that CBS opted to renew NCIS for not just one season, but two. Since NCIS is currently airing its 13th season, we now know we will be getting Seasons 14 and 15. In addition, the show will be on the air into 2018. The news was announced by the network on Monday, and the announcement cites big ratings as the reason CBS wants more from the NCIS gang. What the CBS statement doesn’t explicitly mention but definitely holds true is that executive producer and series lead Mark Harmon is a key component in the renewal deal. Obviously, the man is very important to the series—and the network—and he recently signed another two-year deal that will keep him at CBS. Not coincidentally, NCIS has been renewed for two seasons. NCIS has had a pretty big year. The drama is currently heading toward its 300th episode, and the series has signed on guest star Taye Diggs for what should be a memorable guest stint during that episode. (Diggs also recently was a part of another of CBS’ popular dramas, The Good Wife.) Big milestone episodes are usually important—The Big Bang Theory recently hit Episode 200—and this one will hopefully resonate with fans. In addition to the good ratings and the episode milestones NCIS has achieved, the renewal is not a huge shock for another reason. A few months ago, we learned that Michael Weatherly would be leaving NCIS. That in itself is not great news, but soon after Weatherly confirmed he was leaving, we learned the show was already looking for a replacement for Weatherly’s character, Anthony DiNozzo. That replacement is Tess, a quick-witted young woman who is expected to be introduced in Season 13 in order to set up her storyline for Season 14. The show wouldn’t have been planning to introduce a mainstay character in Season 13 if Season 14 wasn't about to be announced. It’s rare for a network TV show to earn a multi-season order, but it’s not totally unprecedented. The aforementioned Big Bang Theory, is currently on the second season of a big three-season renewal order that will keep the cast together through Season 10. NCIS has a similarly huge following and is also on CBS, so it makes sense that both shows might earn a similar sort of deal. 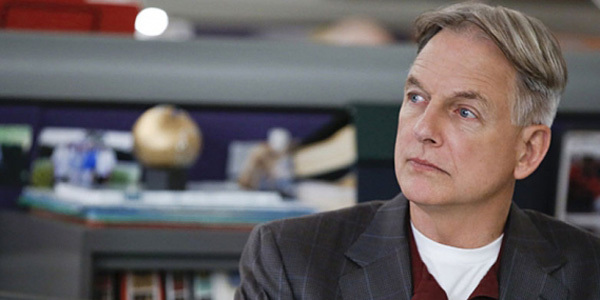 You can currently catch new episodes of NCIS on Tuesday nights at 8 p.m. ET, only on CBS.